"Thanks for encouraging me to take the CareStellations exercise. It was not until afterwards in my kitchen, that it hit me how you helped me overcome a barrier I was facing personally. That could have hampered my company's growth. The work gave me a new boost of confidence that the company started with me and also will get to the next stage with me." 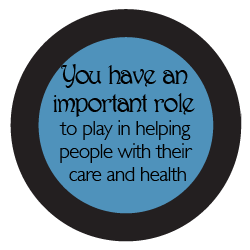 As well as working in health and care organisations, I can help improve your personal wellbeing. I have trained and practised in Systemic Constellations since 2012. I have developed my own approach called CareStellations TM. 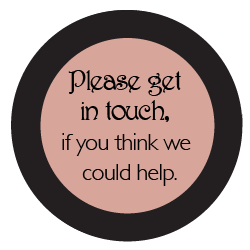 I offer business coaching on work-related issues whatever your role in an organisation. I draw on my twelve years of experience as a manager in large commercial organisations and six years of running my own consultancy limited company. Even a single session can be quite powerful. In Constellations work we use representatives of people or factors within your situation in order to explore the deeper truths of underlying dynamics. It goes beyond dry rational analysis, drawing on our innate intuition as to the right order of care in the most challenging of human circumstances. CareStellations enables you to embody a subtle - or occasionally dramatic - change that you can make to improve a work or personal situation that has been feeling stuck. It offers you the chance to experience that change from the inside in the safety of a confidential session, so that you can put it into effect in your life when the time is right. Because I work with representatives and objects, it is possible to explore your issues without me even needing to know actual details of individual colleagues or relatives who may be involved. In fact, as facilitators we are not interested in many details of names, past actions, etc. The facilitator’s role is to map the dynamics at play within your system or “constellation” and then allow you to work with those forces and explore the effects of subtle changes. It will give you more objectivity on your situation and empathy with the other key actors. 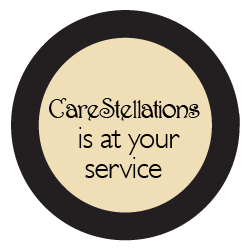 CareStellations is at your service. Or text or phone me on 07958-293078.